when America began to take interest in the islands. They saw it as an ideal place to set up naval bases, but it was not until World War I that the Virgin Islands finally became property of the United States. Since then, because of the pristine sandy beaches, cobalt blue waters and lush mountains, the Virgin Islands have become a popular vacation spot. 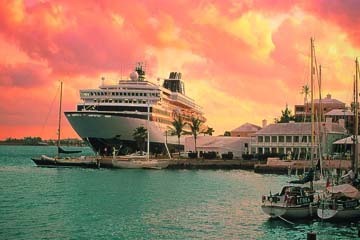 Many days throughout the year cruise ships can be seen entering the islands' harbors depositing throngs of vacationers on the beautiful shores of the Virgin Islands. After taking in all there is to see and do while visiting the Virgin Islands, the vacationers return to their ships, eagerly View of the Three Virgin Islands anticipating their next destination. the most eastern point in the United Sates. This is one of the most picturesque spots on the island. Saint Croix has 15 acres of privately owned Rain Forest that is open to visitors at certain times. Lush foliage, stately tress and graceful mountain doves all create a serene untouched environment. 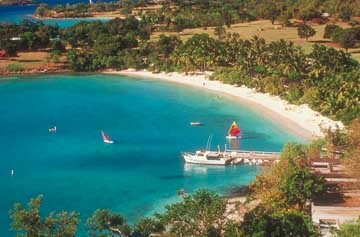 St. Croix Leap is located in the Rain Forest. Woodcarvers create beautiful sculptures and furniture from the mahogany that grows on-sight. The Whim Greathouse is a historical point of interest. A main house, bathhouse, watch house, windmill and cook house are all located on the property. The property even has an apothecary. Located on the Caribbean, Christiansted is an absolutely breathtaking city. The Government House, which was built in 1747, is open to the public. The Outdoor Market is the best spot on the island to get fresh fruit. Christiansted also has some beautiful old churches. The city of Frederiksted also has many historical points of interest. The Old Danish School dates back to the 1830's. St. Patrick's Roman Catholic Church was constructed with opulent coral stone. The Market, which has been a part of the city since 1751, still thrives today. 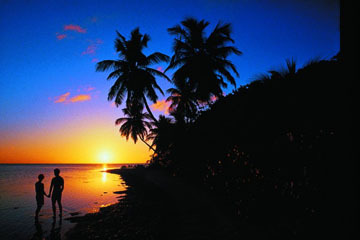 There is plenty to do on Saint Thomas Island. Quaint houses located on rolling hills overlook the majestic waters surrounding the island. Blackbeard's Castle is the oldest historical building on the island. What were once the stomping grounds of many infamous pirates is now a hotel and restaurant. Not only does the Estate St. Peter Greathouse and Botanical Garden boast over 500 varieties of lush plants and trees but the house also features the works of local artistists. Art lovers can also visit the other numerous galleries that are located on the island. Saint John is the smallest of the three islands. 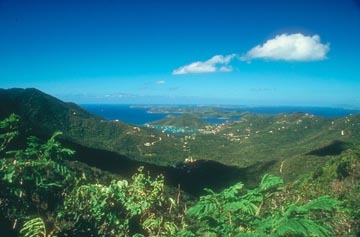 The island is exploding with natural beauty, as over one half of St. John is a United Sates National Park. The various views from around the island of the sparkling blue waters, cays and white sandy beaches will leave visitors absolutely breathless. The park offers guided tours by jeep or safari bus. Estate Annaberg is an old abandoned sugar plantation that is now open to the public. To get a unique view of the island, it is best to do so by boat. There are some wonderful anchorage spots. Ferries travel back and forth between Saint John and Saint Thomas making it easy for travelers to conveniently experience both islands in the same day.